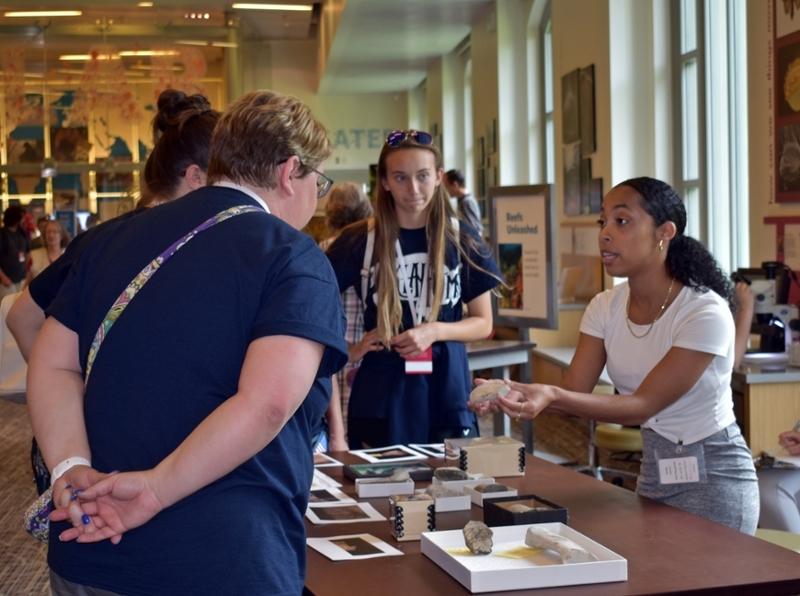 As part of a newly-developed institutional partnership, three Lycoming students began their summers with an internship at the Smithsonian Institution in Washington, D.C. Katie de Melo ’19 (Tiverton, R.I.), Jazmin Jones ’20 (Gloversville, N.Y.), and Xiyue Yang ’20 (Beijing) each lived in Washington, D.C., and interned in various Smithsonian offices and museums from May 14-June 8. 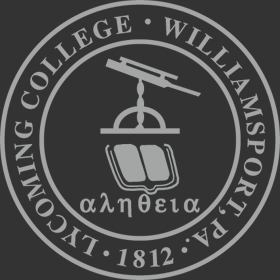 Their internships were made possible through a new program sponsored by the College’s Center for Enhanced Academic Experiences (CEAE), which gives Lycoming students the opportunity to participate in an internship experience at a Smithsonian facility for four weeks. 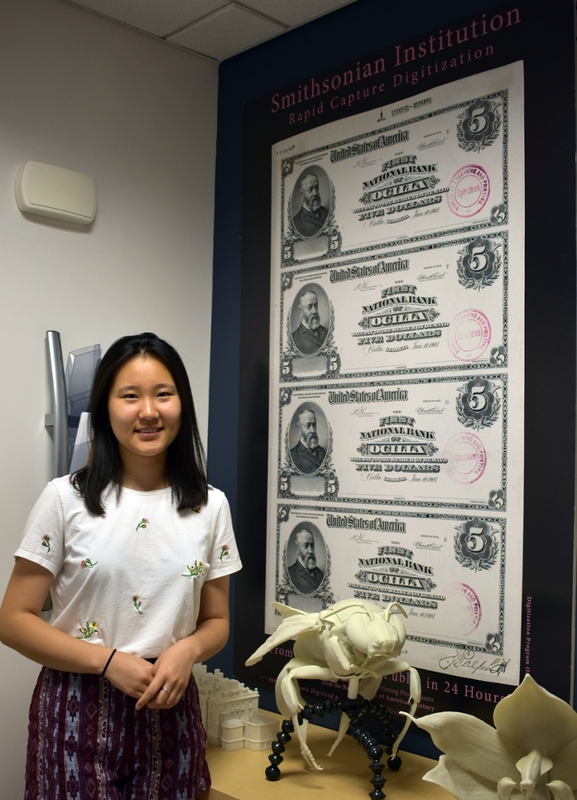 As Smithsonian interns, de Melo, Jones, and Yang worked on individual research projects, assisted with museum events and publications, and worked closely with internship mentors to achieve desired learning goals. 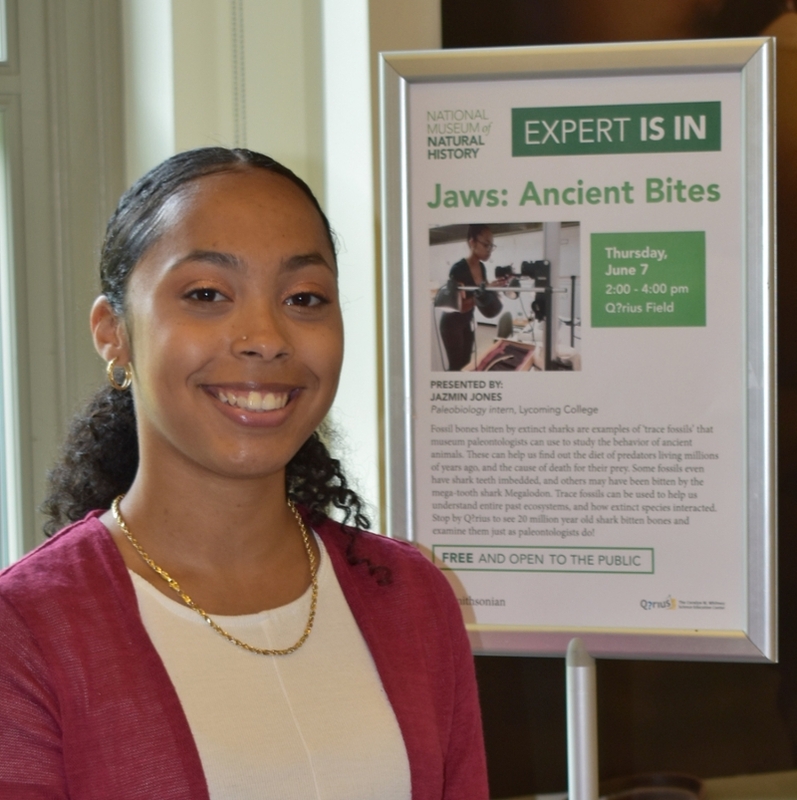 Jones, who interned with the National Museum of Natural History, researched shark-bitten bones from the Miocene and Pliocene times nearly 23 million years ago. Focusing her research on whether prey increased their body size over time to avoid predation, Jones read professional articles and catalogued more than 100 shark-bitten bones. 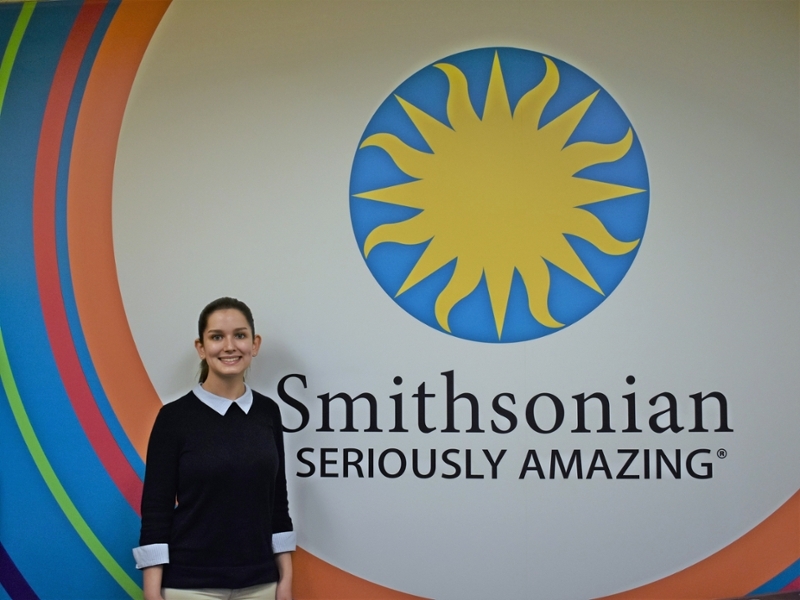 “The Smithsonian internship has allowed me to apply my passion for the past in a hands-on environment,” Jones explains. 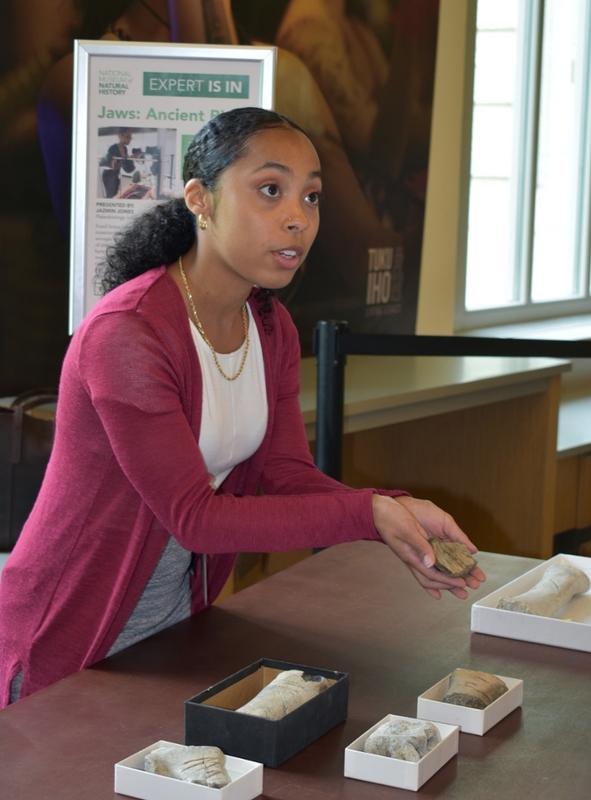 de Melo also applied her passion for the past during her internship with the Smithsonian Office of Fellowships and Internships (OFI). 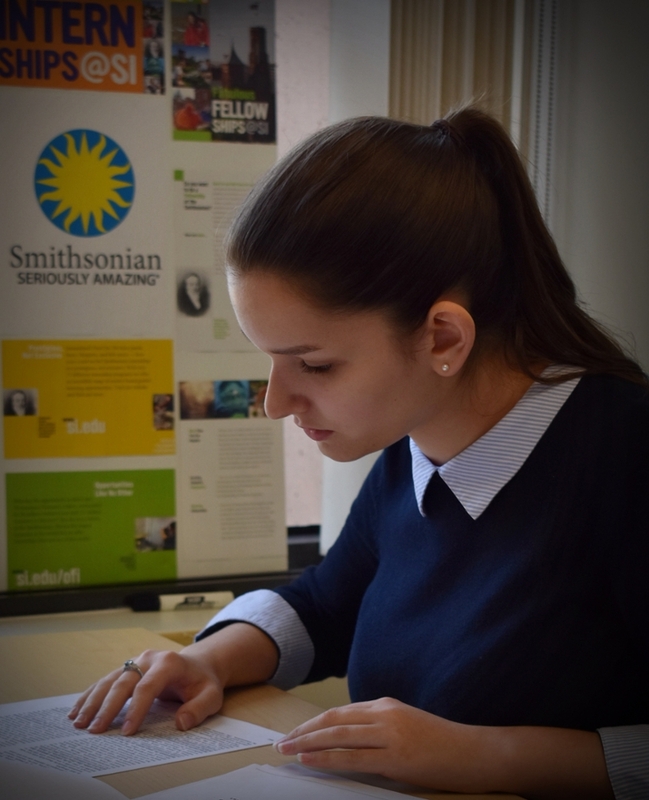 She sharpened her research skills by studying the history of the Smithsonian fellowship program. After presenting the findings to her mentor, de Melo’s work was published on the OFI website. Additionally, de Melo worked to plan intern activities, publish blogs, create newsletters, and draft emails. Yang’s work from her internship with the Digitization Program Office can be found online as well. 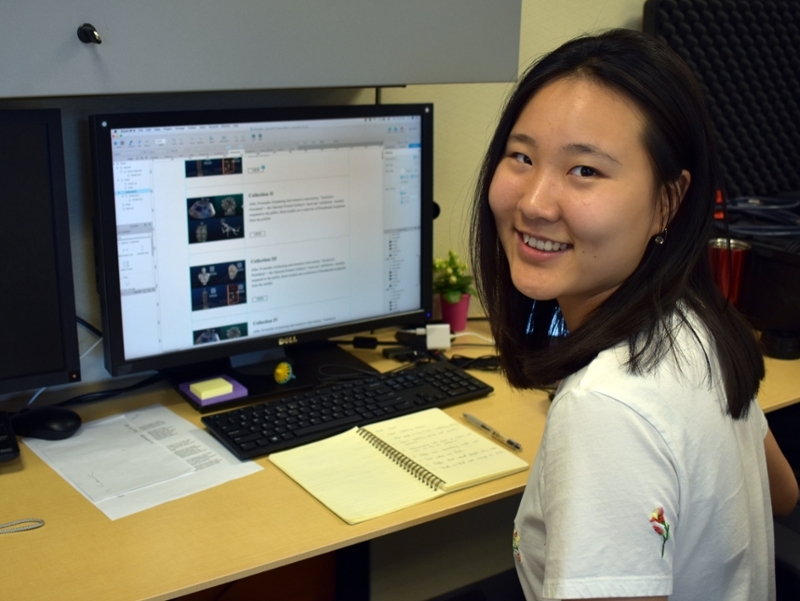 During her time as a Smithsonian intern, Yang used her knowledge as a commercial design major to restyle the two main office websites. After receiving feedback and comments from museum employees and professional web designers, Yang worked to create an accessible interface that met museum expectations. Each of these interns were chosen through a competitive application process created by the CEAE. In addition to submitting a resume and three references, students were evaluated on essays detailing why they wanted the internship, why they believed they were a good fit for the position, and how the internship would relate to their career goals. The CEAE worked closely with each student to develop their professional skills and ensure success in their positions. More information about their internship experiences will be available during the Enhanced Academic Experience and Career Advising Expo hosted by the CEAE on Tuesday, Sept. 4 in the Pennington Lounge of the College’s Academic Center.